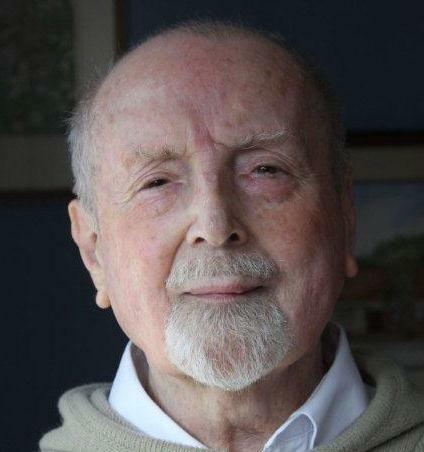 We are sad to record the death of Charles Cleall, a Trustee and Council Member of the Ernest George White Society. As noted at the start of his obituary in The Church Times, Charles’s passing has ‘deprived the world of church music of one of its most able teachers and choirmasters’. That career began when, at the age of just 15, he created a 40-voice choir in Ashford, Kent. He went on to study at Trinity College of Music in London, and within a year of graduating had been appointed Professor of Solo Singing and Voice Production. Three years after that he was conducting the mighty Glasgow Choral Union and then succeeded Imogen Holst as director of the Aldeburgh Festival Choir. His principal books were The Selection and Training of Mixed Choirs in Churches, Music and Holiness, and Voice Production and Choral Technique. His writings on choir training are striking for the sound explanations of techniques based on phonetics, vowel and tone, which have transformed the sound of many a choir. He was a thoroughly scholarly man with interests that seemed to widen with age. After a career spent mainly in education – Lecturer at the Froebel Institute College of Education, Roehampton; Music Adviser to The London Borough of Harrow; Northern Divisional music specialist in Her Majesty’s Inspectorate of Schools in Scotland; and Tutor in Speech Training to the Scottish Churches’ Open College – in retirement he became a writer of church guidebooks and a popular Anglican Reader. He joined the EGWS as a Full Member in 1975, and was a Trustee from 1982/3 until his death. His time on the Council included a brief spell as Chairman and also as Editor of the Society’s Journal. He was a Registered Teacher of White’s Technique. While he may not always have agreed wholeheartedly with all of White’s teachings, both the Council and the Society members participating in its workshops and masterclasses benefited greatly from his expert knowledge of the voice. Charles’s wife Mary died in 2005. He is survived by his daughters the Revd Anne Lindsay and Dr Alisoun Nicol. His wisdom, erudition and scholarship will be sadly missed.